Got part of the initial grading results today - full certs next week once they do the images. Biggest news was the smaller one was E/Internally Flawless! The larger one made it to 'Super Ideal H&A' (AGS-000), the smaller one's table was a touch too large so just H&A but not Super Ideal. However, the Internally Flawless is very exciting. We'll have both out for sale next week once the certs are finished (H&A images). Both of them look outstanding in person. In a previous post, you mentioned moving some of the TIGER robots from Amora production to Takara production since you are now exclusively focused on and producing rounds. 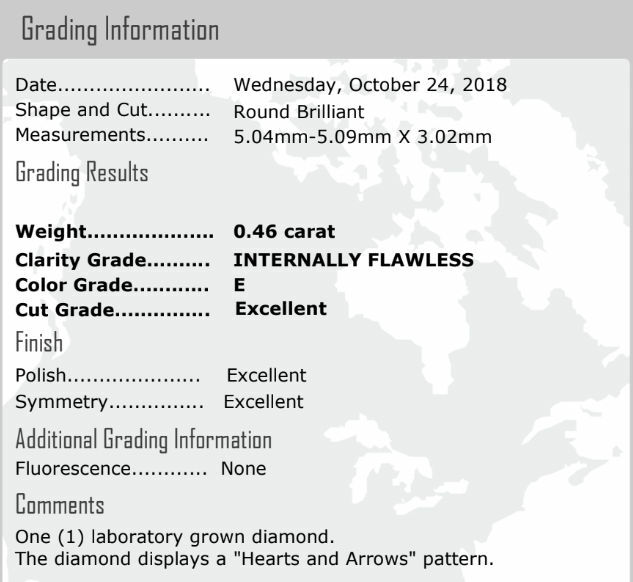 Do you expect to have a fairly steady supply of Takara diamonds in the future? It's been about 3 years since I last visited this place, this good news is well met! How much longer till we perfect diamond making and invent some new kind of flexible carbon that will take us to outer space? Can't wait until some larger Takaras are produced. I'm in the market! ...Do you expect to have a fairly steady supply of Takara diamonds in the future? Yes, we will have a very robust supply of Takara Eternity rounds. The main issue is size - we're hoping to get the first 1ct's in January, and then continue to increase the size throughout next year (2019) and eventually get to 2ct rounds hopefully this time next year. Color is really solid, so it's mostly the size issue at this point as the main item to progress on.